Kaunas has became your second home. You've spent a great time here, met amazing people, tried different things, lived your life to the maximum. Now it's time to go back from where your journey has started. With fresh ideas and energy, new dreams and even more joyful experiences are waiting for all of you. 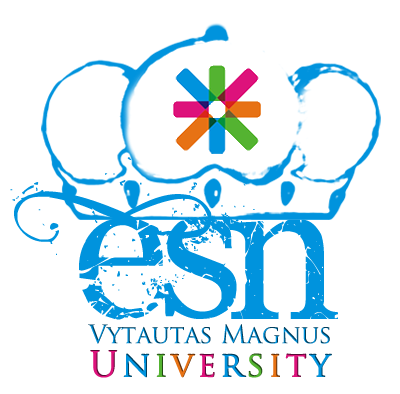 Before you start another interesting chapter of your lives, ESN VMU and VMU International Cooperation Department would like to celebrate with You and Your friends the great times you've spent in Kaunas. Erasmus awards, last pictures with your friends in Kaunas (only for a while, we hope! ), celebration cake and more cosy moments are waiting for you. Let's gather all together on the 14th of December, Wednesday, at 17 PM, Putvinskio st. 23, 1st floor's Hall.